The US Food and Drug Administration approved Orkambi (lumacaftor/ivacaftor) tablets in July 2015. Photo: courtesy of Business Wire. 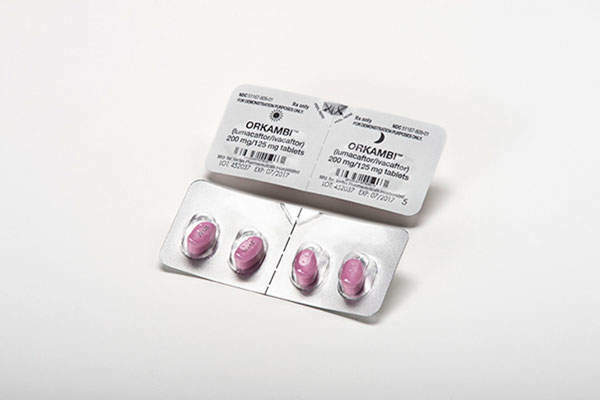 Orkambi is a combination of two active ingredients, lumacaftor and ivacaftor. Photo: courtesy of Business Wire. 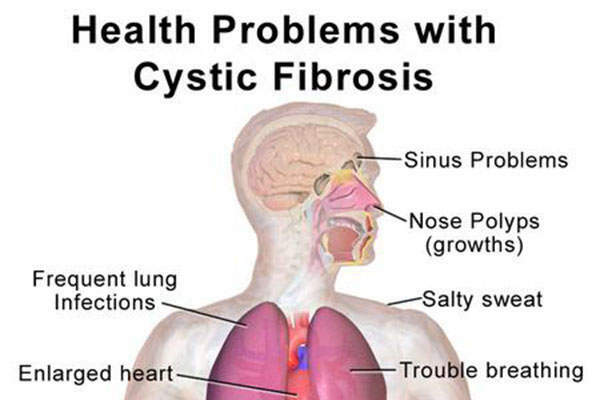 Cystic fibrosis is a genetic disease caused by defective/missing CFTR proteins. Image: courtesy of BruceBlaus. 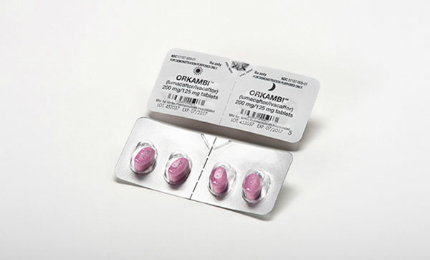 Orkambi (lumacaftor/ivacaftor) is the first approved medicine to treat the underlying cause of cystic fibrosis (CF), a rare, life-threatening genetic disease. 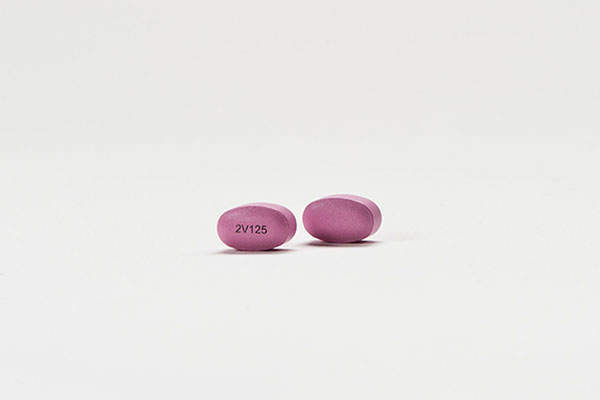 The drug was discovered and developed by Vertex Pharmaceuticals. The new drug application (NDA) for Orkambi was submitted to US Food and Drug Administration (FDA) in November 2014. The Pulmonary-Allergy Drugs Advisory Committee (PADAC) of the FDA recommended its approval in May 2015. The FDA approved Orkambi as a treatment for the underlying cause of CF for people who over the age of 12 with two copies of F508del mutation and also for those who can be identified with a genetic test, in July 2015. The drug is also under review by Europe’s European Medicines Agency (EMA), Canada’s Health Canada and Australia’s Therapeutic Goods Administration (TGA). The EMA is expected to make a decision on the drug’s approval by the end of 2015. "Orkambi is a combination of two active ingredients, which are lumacaftor and ivacaftor." Cystic fibrosis is a genetic disease caused by defective/missing cystic fibrosis transmembrane conductance regulatory (CFTR) proteins resulting from mutations in the CFTR gene. Cystic fibrosis or the missing protein often leads to the poor flow of salt and water into or out of the cell in a number of organs, including the lungs. This leads to chronic lung infections due to the build-up of thick and sticky mucus and progressive lung damage that could eventually lead to death. The CFTR protein is not processed in the case of people with two copies of F508del mutation, which results in little to no protein at the cell surface. Compared to people with a single mutation, those with two copies of F508del mutation are easily identified with a simple genetic test. People with two copies represent the biggest group of people with CF. Out of the estimated 30,000 people affected with CF in the US, approximately 8,500 have two copies of mutation. North America, Europe and Australia are estimated to have more than 75,000 CF affected people in total. Orkambi is a combination of two active ingredients, which are lumacaftor and ivacaftor. While lumacaftor increases the amount of protein at the cell surface by targeting the defective F508del CFTR protein, ivacaftor enhances the CFTR protein’s function once it reaches the cell surface. Kalydeco (Ivacaftor / VX-770) is a cystic fibrosis transmembrane conductor regulator (CFTR) potentiator indicated for the treatment of cystic fibrosis. 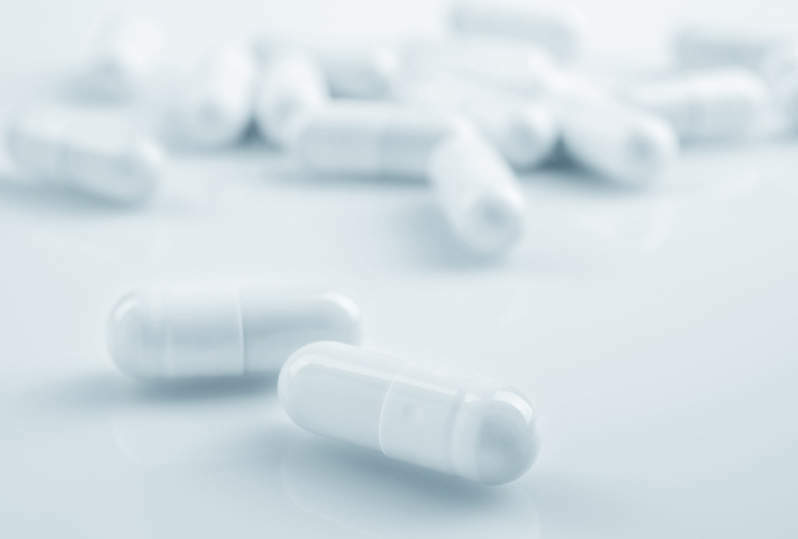 The FDA approval of Orkambi was based on results from two Phase III clinical studies, Traffic and Transport, which were conducted to determine the safety and efficacy of the drug. The two studies enrolled more than 1,100 people with cystic fibrosis with two copies of the F508del mutation belonging to the group over the age of 12. Results showed that subjects treated with Orkambi experienced statistically significant improvements in lung function. Improvements in body mass index (BMI) and reductions in pulmonary exacerbations were also experienced. Patients were divided into two arms in both of the randomised, double-blind, placebo-controlled studies. The subjects in one arm received lumacaftor (600mg once daily or 400mg every 12 hours) in combination with ivacaftor (250mg every 12 hours), while the other arm received a matched placebo for 24 weeks. The primary endpoint was the absolute change from baseline in the percentage of predicted forced expiratory volume in one second (FEV1) at week 24. The mean baseline FEV1 was 61% of the predicted value. Significant improvement was recorded in both studies at the primary endpoint in both lumacaftor-ivacaftor dose groups. The difference between active treatment and placebo with improvement in the percentage of predicted FEV1 ranged between 2.6% and 4% points. The rate of pulmonary exacerbations in pooled analyses was 30%-39%, lower in the treatment groups compared to the placebo group. Common adverse reactions recorded during the study were shortness of breath and/or chest tightness, upper respiratory tract infection, and gastrointestinal symptoms, including nausea, diarrhoea and gas.